Promotions will get the best response with Custom Ponchos. 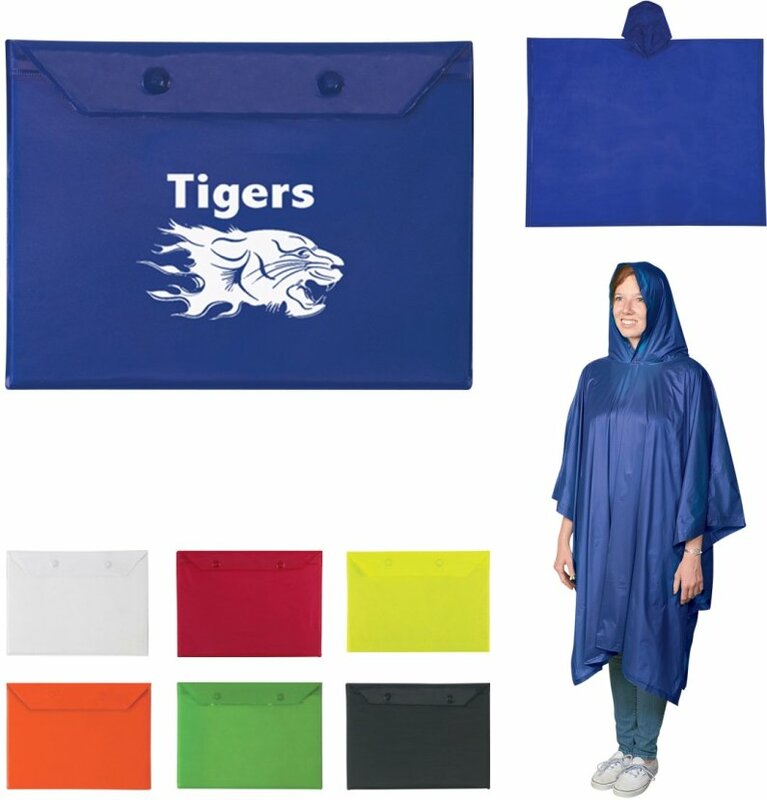 Apps include rain related events & promotional products. Neon Yellow - Orange, Lime, Black, one size fits all. Delivery of Custom Rain Ponchos is 2 to 3 weeks. Price includes one color imprint on pouch 6" w x 3 1/2" h.